The .22LR is a rimfire cartridge with almost 130 years of history behind it. It even has an entire family of related rounds: .22 Short, .22 Long, and .22 Extra Long. 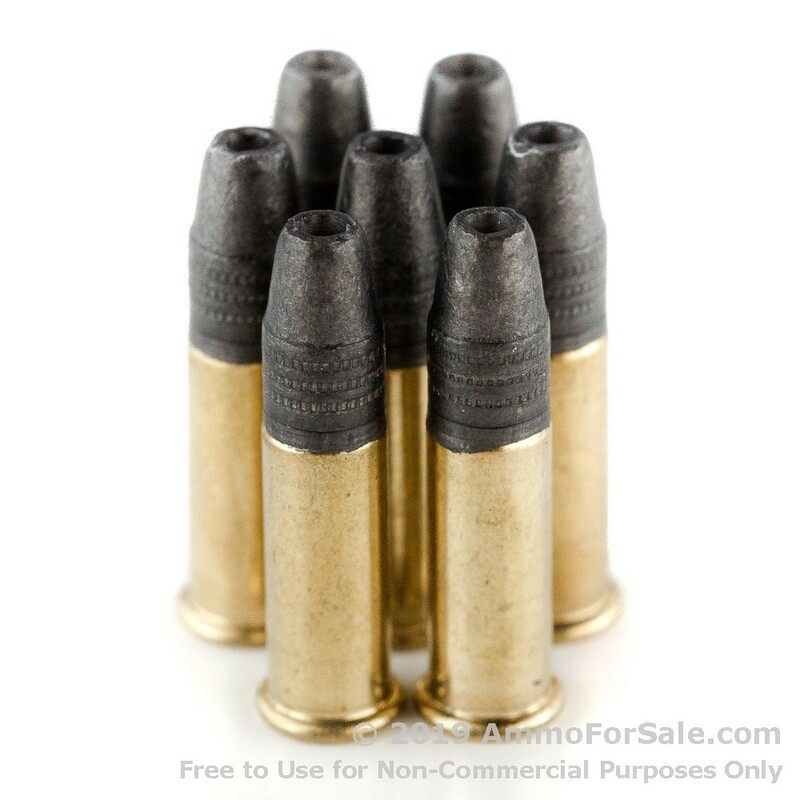 All of these rounds use heeled bullets, meaning the bullet and the case are the same diameter and the bullet has a narrower heel that fits inside the case. These rounds are immensely popular in part due to their low cost and minimal recoil, but the truth is, they’re fun to shoot. They’re like the candy of the firearms world; a guilty pleasure for seasoned shooters and an excellent treat for new shooters just learning the ropes. And because .22LR is so versatile and enjoyable, it’s a good idea to make sure you have enough ammunition to satisfy your desire to fire your gun endlessly – and, yes, you’ll want to fire it endlessly. When it comes to choosing a company for ammunition, Winchester is an excellent choice. They’ve been around since 1866, and their name is practically synonymous with ammunition and quality. They’re the company that came up with The Gun that Won the West, and they have an incredible history of commitment to meeting to their customers’ needs. 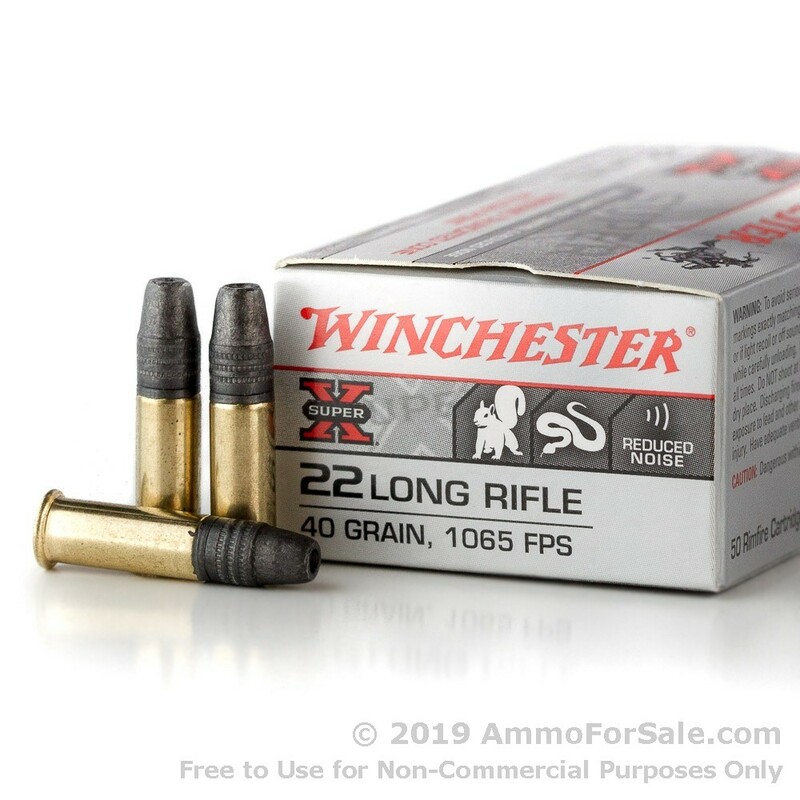 And these aren’t just any .22LR, either, they’re Winchester’s Super X Subsonic rounds. That means they were created specifically with greater velocity and penetration in mind, and who doesn’t want a faster round? 40 grain makes these something of a heavyweight in the world of .22’s. But they’re still light, and they’re definitely fast. They have a muzzle velocity of 1,065 feet per second and a muzzle energy of 101 foot-pounds, and did we mention these are TC rounds? Truncated cone rounds have a cone-shaped nose with a flat tip. That gives them greater penetration capabilities and also means they make cleaner, neater holes in your paper targets. And they’re hollow points, so they mushroom slightly on impact. 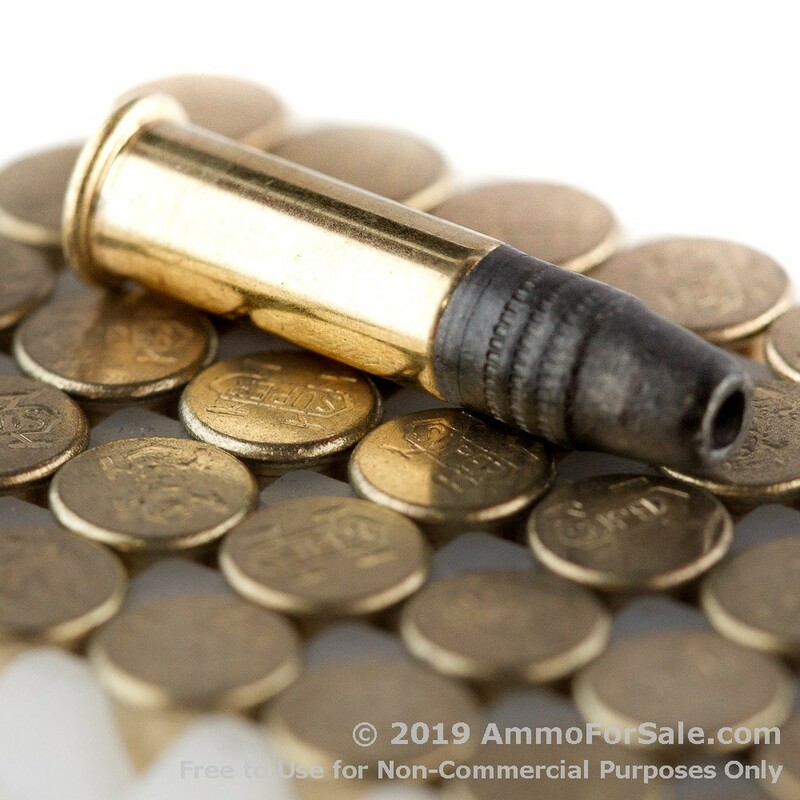 There are 500 rounds in this box of brass-cased, rimfire-primed ammunition, so you can go out plinking with your .22LR-chambered firearm and let ‘em rip – or, actually, make neat, accurate holes. What are you waiting for? Get your order in!